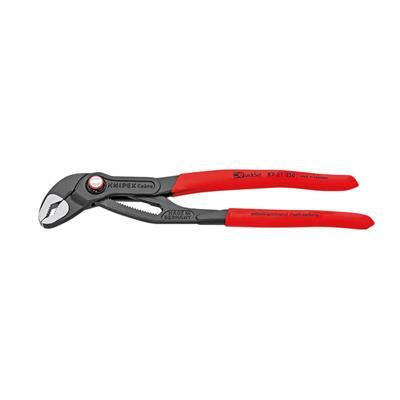 KNIPEX 87 21 250-00 - 10 in. Pliers with Quick Set Functionality. No more time-consuming test-adjusting to achieve the correct size. With the Knipex Cobra water pump pliers, you can simply position the upper jaw to the workpiece, push the button, and close the lower jaw. And you'll also be able to say goodbye to blood blisters you get with other gripping pliers. With safety its first priority, Knipex has designed a built-in pinch guard that prevents blood blisters on your hand. The Cobra QuickSet combines all proven properties of the KNIPEX Cobra® with an additional push on function which makes it easier to work in very confined and inaccessible areas. Adjustment directly on the workpiece is possible by simply sliding the pliers handle. The hinge bolt locks itself with the first workload. 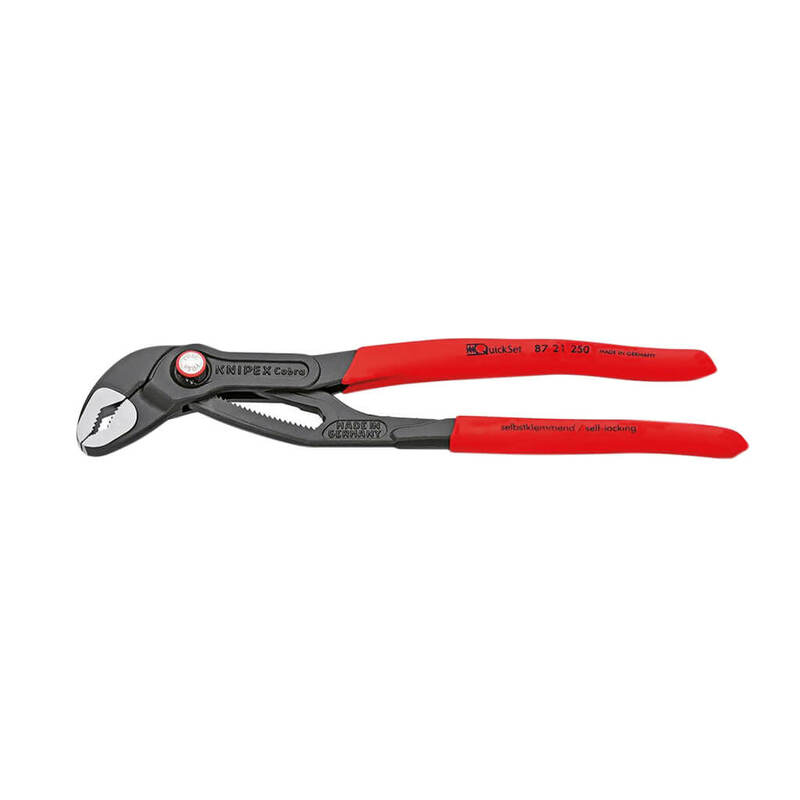 The gripping width of the pliers is then fixed and can only be adjusted by pressing the button. The hinge bolt must be released by pressing the button and the pliers must be completely opened once to activate the QuickSet function again.